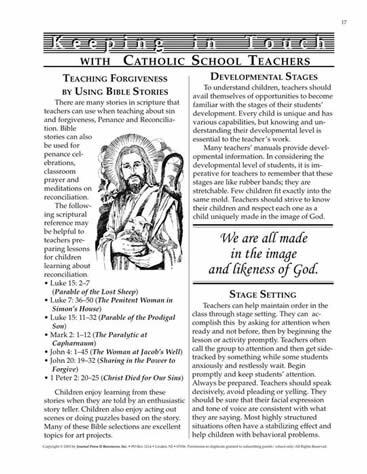 The Catholic School Teacher KITs are designed for principals to communicate with faculty and staff. These reproducible Master Sets are available as Catholic School Teachers Kit 1 and Kit 2. 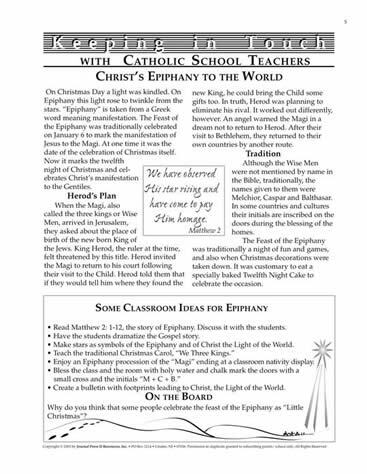 The Catholic School Teacher Pin (shown at top right) information is available by clicking. ¥ Words of Wisdom and Humor. Sets are ordered and downloaded one at a time. 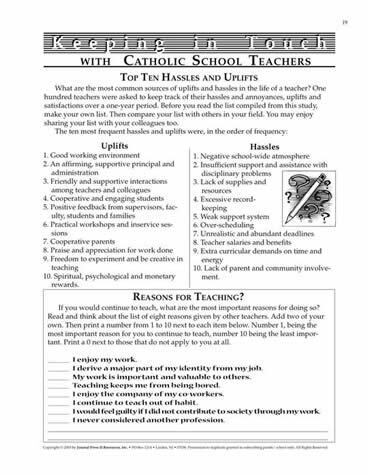 Return to this page to select additional Keeping In Touch with Catholic School Teacher Master Set.